Head over to Target where they are offering a free $10 Target Gift Card when you spend $50 or more on Up & Up baby products. 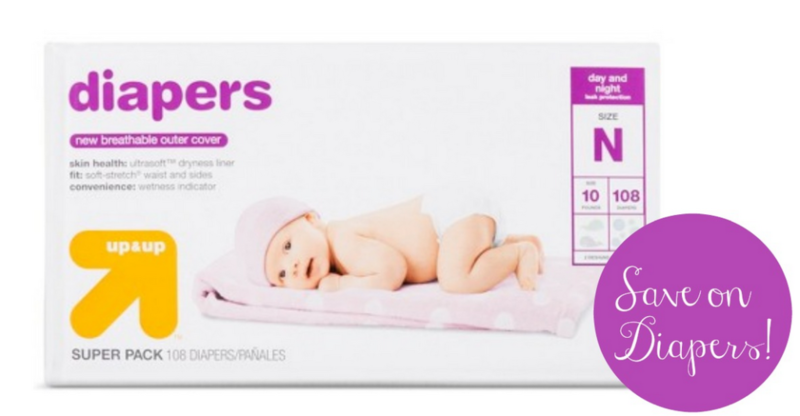 Pair this gift card offer with a Subscribe & Save offer (can cancel at anytime) to get diapers for $11.74 per super pack (or 11¢ per diaper). If you’re a Target REDcard holder, you can get an extra 15% off your baby subscription purchase! Gift card valid through 4/7. Shipping is free with Redcard.